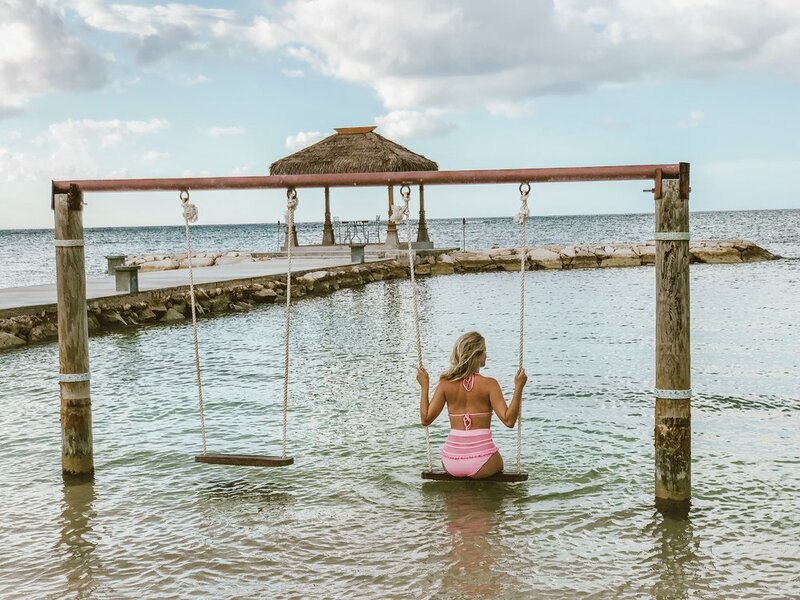 We are headed back to the sunny island of Jamaica for today’s honeymoon part 2 post! I’ve linked the pieces from our honeymoon below. Many of them you can find on sale since it is not peak swimsuit season. Also, two of the romantic maxi dresses are less than $30 (Free People dupes) on Amazon HERE and HERE!! My favorite bag from the trip was made by Jacki and you can make one yourself! The “I do” custom beach bag tutorial is HERE. I got so many compliments on it while traveling! Thanks for stopping by! If you want more details about the resort, Sandals Montego Bay, there is a full post on it HERE.